We may have witnessed what happens after a high-speed asteroid crash for the first time ever. 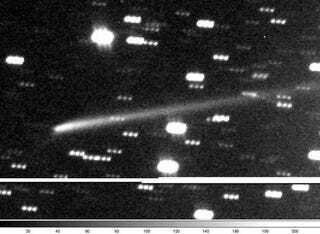 A mystery "comet" in the asteroid belt, P/2010 A2, is now believed to be asteroid-collision debris. The "comet"'s head includes an asteroid fragment.